Alaska Native Jennifer McCarty has been chosen as a 2011–2012 Anne Ray Intern. Of Iñupiaq heritage, she is a shareholder in the Bering Straits Native Corporation. She is also a graduate of Oberlin College, where she received her bachelor’s degree in anthropology. Jennifer’s museum experience includes working as a culture host at the Alaska Native Heritage Center in Anchorage, office manager at the Kodiak Maritime Museum in Kodiak, and program specialist at the Arctic Studies Center for the Smithsonian Institution’s National Museum of Natural History. Most recently, she worked as the assistant curator at the Alaska Heritage Museum at Wells Fargo, in Anchorage, where her responsibilities included assisting with collections management, registration, education, and programming. Jennifer believes that the Anne Ray internship will provide her with the additional skills, experience, and credentials to help advance her museum career. She is also keenly interested in continuing her education through a graduate degree in anthropology, Alaska Native studies, or museum studies. While at SAR, she will spend half of her time working on collections/registration projects, and the other half of her time working on academic/education programming projects. Jennifer will be in residence at SAR from September 1, 2011–May 31, 2012. With a new cultural heritage center being planned in her hometown of Juneau, Kelsey would like to be eligible for a position therein. She understands that to be eligible, she will need to gain more experience and earn a graduate degree. Kelsey believes that the internship will help her achieve this goal in terms of preparing her for graduate studies in Museum Studies and furthering her museology skills. Ultimately, she wants to work in museums to help protect and understand the past. While at SAR, she will work to reach these goals by spending half of her time working on collections/ registration projects, and the other half of her time working on academic/education programming projects. Kelsey is of Athabascan heritage and will be in residence at SAR from September 1, 2011–May 31, 2012. 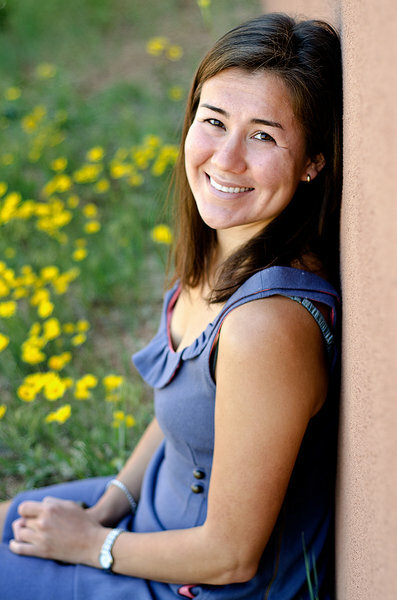 The Summer Policy Academy at the Santa Fe Indian School and the School for Advanced Research has signed a memorandum of understanding since 2010 to support one summer intern at the Indian Arts Research Center. The purpose of the internship is to help students affiliated with the Summer Policy Academy gain work experience, broaden their perspectives, and introduce them to the museum field. The SPA and SAR are pleased to welcome Joseph Skeets as the 2012 SAR-SPA summer intern. This will be his second consecutive year as the SAR-SPA intern. Joseph is a member of the Navajo Nation. Originally from Iyanbito, New Mexico, he now calls Santa Fe home. A 2010 graduate of the Santa Fe Indian School, he attends college at Saint Lawrence University in New York, where he is majoring in Mathematics and Computer Science. While in high school, he participated in cross country, basketball, and track and field. He was student body president and class treasurer. In addition, Joseph was awarded the Elk’s Lodge award for Excellent Students, the High School Prize for Scientific Excellence, and the Gates Millennium Scholarship. During his high school career, he participated in the Summer Policy Academy at the Santa Fe Indian School, Futures for Children Youth Leadership Summit, College Horizons, Native Nations Institute, and the Summer Internship Mentorship Program. These programs provided him the opportunity to explore various professions and to acquire leadership, communication, goal-setting, trust, and teamwork skills. Joseph hopes to one day return to his community and share his experiences with his tribe. He plans to pursue a career in software development and create technology and programs that will help preserve and restore Native cultural traditions. While at SAR, Joseph will be working on projects related to education, registration, and collections management.